Most conservatories roofs can be simply upgraded and improved for summer or all year comfort without the need to replace. A conservatory that is less than fifteen years old will generally have a roof that is in a good condition and does not justify the expense of new roof panels, unless it is a Ultralite 500 or Everlite PVC roof. The transparent heat reflectors, which are similar to those used in high performance glazing, are simply installed without disturbing the roof to provide a simply, and relatively low cost, transparent solution. That excludes 80% of Solar heat, cuts glare, and retains up to 25% of heat that would otherwise be lost in winter. The heat reflectors are fitted in different ways to Polycarbonate and Glass roofs. The transparent heat reflectors, are simply inserted into the upper hollow flutes of the Polycarbonate panels to become part of the glazing. In this way we are able to upgrade plain polycarbonate to the same specification as a Solar Glazing. Performance tests for the heat reflectors. The heat reflectors are laminated in-situ to the glass; they are inconspicuous except for a light tint in daylight and provide a clear view out. Internal or external installation is possible depending on the application. Our product, which is totally unique to this company and which can be installed externally, was developed in the early 1990’s. It is based on Poly Vinyl Fluoride, the most durable polymer known. 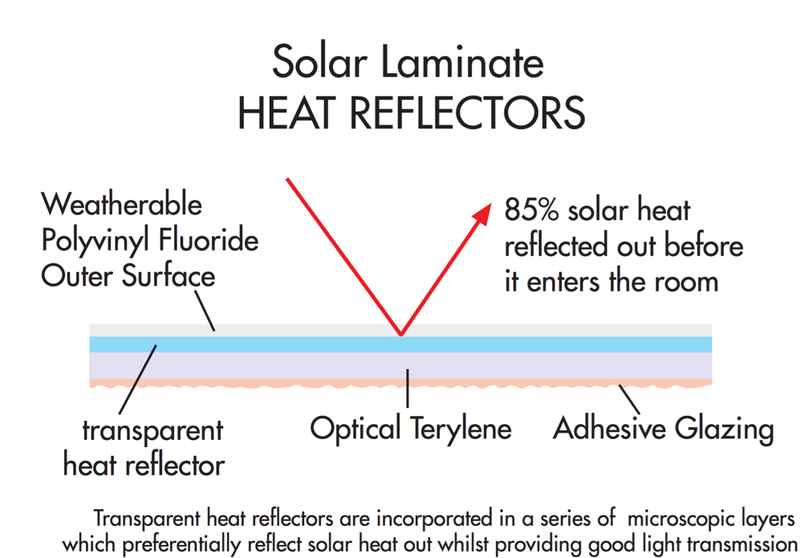 We laminate this in-situ to the outside face of the double glazing unit to stop the solar heat before it can enter the glazing system to replicate the performance of the best Solar glazing. Where the principal concern is winter insulation, we laminate directly to the inside surface of the glazing using a grade that has the ability to reflect room temperature heat back into the room to reduce winter heat loss by up to 25%. Performance test for the heat reflectors. This product is neatly installed between the internal glazing bar rebates to ensure that there is no change in the internal appearance, and incorporates thermal breaks to cut heat loss through the structure of the conservatory. The result is a system that reduces heat loss by up to 80% to provide insulation equal to a filled cavity wall significantly surpassing all other transparent conservatory glazed roof solutions. Energy rating equivalent GRADE ‘A’ ++ . U value 0.6 watts/M2 °C. 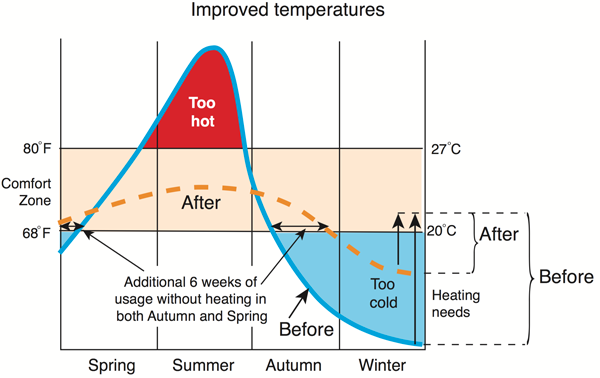 During the late Autumn, Winter, and early Spring, when heating is required in the home, the Sun is relatively low in the sky and predominantly shines in to heat the conservatory through the side window glazing. Normally this heat is rapidly dissipated through the roof. But when high insulation roof glazing is installed the heat is captured and simply flows into the house by opening the internal doors. A major problem with these types of roofs is noise due to the impact of rain. This is not only distracting but when a heavy downpour occurs the noise can be so intense as to render the conservatory unusable. Our product is available crystal clear for noise reduction or with heat reflectors for noise reduction and solar control. Noise reducing sheets for conservatory roofs. 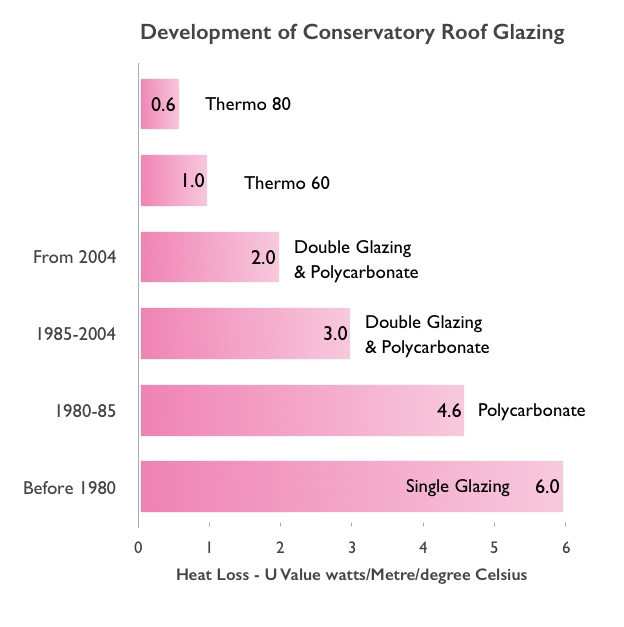 Polycarbonate roofs are a problem because unlike glass they are manufactured from molten plastic which is extruded through a die in the form of the open internal structure. This is cooled rapidly causing the outer surface of the Polycarbonate to take on the taught characteristic of a drum-skin which resonates in a high register that is particularly annoying to the human ear. Our ‘Thermo’ roof panels are manufactured using a different process which cuts this annoying sound to make the conservatory more comfortable and quieter when it is raining. Transparent heat reflecting sheets cut glare and exclude 85% of solar heat to provide cool and comfortable temperatures. Improved temperatures with our transparent heat reflecting sheet for Polycarbonate and Glass roofs. 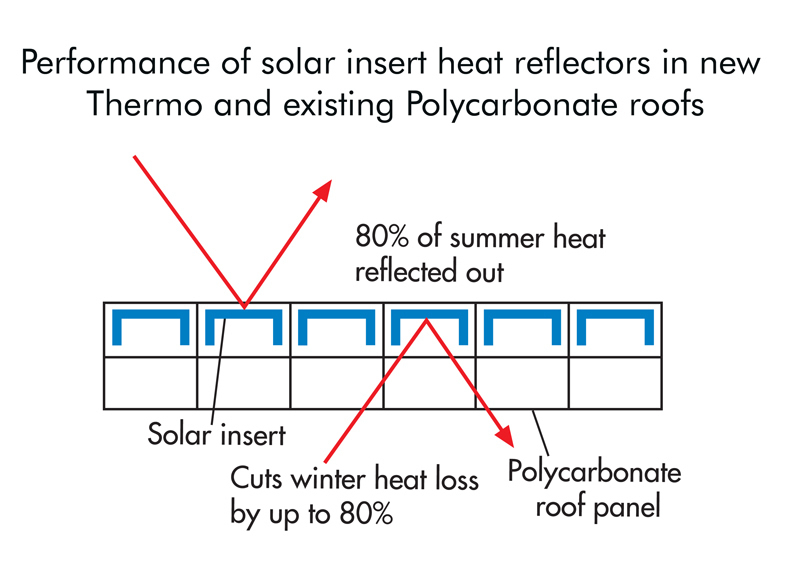 Video of test for heat reflecting sheet – conservatories with polycarbonate roofs. Video of test for heat reflecting sheet – conservatories with glass roofs. They also combat the annoying noise from Polycarbonate roofs reducing it to that of a glass roof. Fitting is straight forward; the glazing bar cover is removed, the heat reflective sheet is fitted on-top of the glazing panel, the glazing bar cover is refitted to clamp the heat reflecting sheet in position. This can be a major problem causing discomfort and in the worst cases nausea. The cause of this is too much bright light entering the eye. The iris in the eye constricts to the smallest size possible size and still there is too much light. Our product moderates the brightness to a level which allows the iris to operate normally and thereby control the light entering the eye. 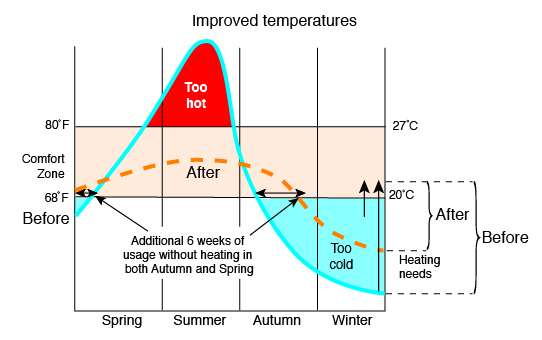 The key factors in the deterioration process are Ultra-violet rays and high temperatures. Our products eliminate up to 99% of the Ultra-violet rays and reduces high temperatures to help protect against fading, and to help retain the vibrancy of colours. CALL FREE FOR ADVICE ON 0800 840 0565, email david@hitg.co.uk, or fill out our contact form.